UNITED STATES: Demand for clean energy, digitalisation and moving away from centralised grid systems will be the growing trends in the US power market over the next five years, according to Lars Andersen, new North American president of K2 Management. Andersen spent about half of his three decades in the wind industry in the US before taking the role at the Denmark-based consultancy. With the production tax credit (PTC) phase-out, the offshore sector preparing for launch and the growing need for repowering, there is plenty going on in the US market, he said. Technological advances such as storage, larger, more resilient turbines, and the increasing use of data, present opportunities for wind-power developers in the US and the rest the world, he said. "Costs for renewables are coming down and margins are falling, so it really drives a focus on quality. It’s vital to execute and manage these projects properly in a low-margin environment." Andersen still expects "significant development" in the post-PTC era after 2020. He sees power deals, including corporate PPAs and smaller-scale deals when "aggregators" pool demand for renewable energy and buy or develop power on behalf of residents or businesses, continuing to play a key role as demand for clean energy grows. "This demand is partly driven by low cost. I think we will see renewables able to compete on levelised cost of energy." Andersen believes this will lead to tenders becoming more prevalent, as is already the case in Europe and elsewhere, while cheaper storage will enable more renewables to be deployed. Storage solutions will become a requirement for developers to be competitive. "You will have more control and be able to match supply to demand," he explained. "The notion of overall interconnecting grids is becoming less important, because you can solve problems locally. "We have residences and corporates generating their energy, and managing this requires more data and more digitalisation. "Quantum computing techniques that can handle massive amounts of data will drive this transformation to renewable energy and will allow new business models to evolve." Difficult weather conditions in south-eastern states and seabed conditions off the US coast previously hindered offshore projects and onshore development in Florida, Mississippi and some other states. 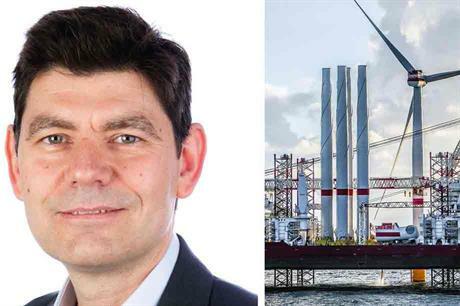 But Andersen thinks these challenges can be overcome as turbines grow better at withstanding storms and the US can learn from the experience of offshore projects in Europe and Asia. "Understanding the environmental conditions is a key factor in any design or planning for wind turbines. The key is to take advantage of that knowledge." Repowering is also a growing market Andersen sees as being a "big thing" that he hopes K2 can be part of over the next five years. "The only difference between repowering and new greenfield sites is that you have the existing infrastructure already," he explains. "This is an advantage." Pre-existing land rights, grid connection, knowledge of local wind resources and having neighbours at least being "accustomed" to being near a wind farm, all help the developer with the project. Andersen concludes: "It should be a straightforward permitting and execution process."